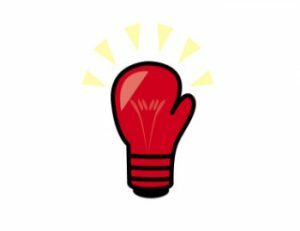 How Do You Study A Boxing Match? A: Good question. 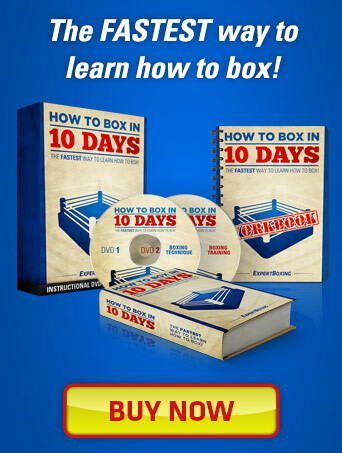 I study boxing matches all the time. The first thing I do is look at the punches. I look at where they place their feet, how they time their punches, and the angle the punch from. Not every boxer throws a straight right hand the same. 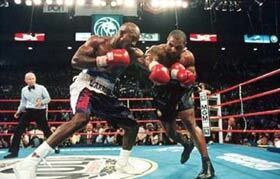 I’ve seen Bernard Hopkins move his right foot a lot before he launches his right hand. I’ve seen Miguel Cotto pause during a 1-2 before throwing his right so that his opponent’s defense is off-timed. I’ve also seen Mayweather throw a right hand across his chest instead of across his chin to help it sneak under his opponent’s defense. I also look the fighter’s favorite punches and counter-punches. Oscar De La Hoya and Miguel Cotto love throwing the jab and left hook. 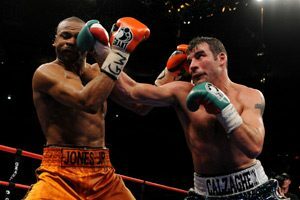 Roy Jones and Floyd Mayweather love the lead right hand. Next I study their defense. Some guys have a counter-punching defense, like Floyd Mayweather or Miguel Cotto, where they like to slip and then throw a return punch. 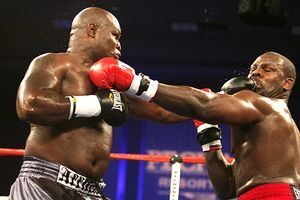 Other guys like to block first before punching, like Arthur Abraham or Winky Wright. Then comes the body movement. A lot of fighters really confuse me sometimes. It takes me a while to understand why they move like they do. I remember wondering why Miguel Cotto bent over at the waist a lot when he was within punching range. I later found out he did that so he could bait with his head and then pull it out of the way when a punch came and throw his own counter. I also study their footwork. Dmitry Pirog was constantly pulling his lead foot back during fights converting his stance from orthodox to southpaw. Manny Pacquiao was notorious for always running on the outside of his orthodox opponents’ jabs to land a double-left. I look at where they place their feet and how they move their feet when they’re on the run. It’s not always easy to see when you’re busy looking at the punches. Lastly, I study the fight between the punches. I look at their body posture. I study their eyes and their body language. Are they tired or are they trying to be passive and bait for a big counter-punch? I also look at the fight for ground. Some guys love to take away their opponent’s ground and other guys like to give up their ground. Lastly, I listen to what the coaches say and try to see if the coach is trying to give good advice or just motivating advice. Sometimes the coaching alone can tell you who’s winning the fight. Hi, very interesting article. I also wanted your opinion on who are the best fighters, technicaly wise, for a beginner to observe and even try to emulate in the gym. I know that every person has its own rhythm, its own way of boxing, but I was wondering who are the athletes who are usually more polished, more perfeccionists in terms of technique, that can give you a boxing class by pretty much just watching them fight. I think beginners should watch everyone. It’s easy to point them to technical fighters but at the end of the day, you can only see what you’re trained to see. And you can only see what you’ve been taught, or what you felt before when you fought someone. So my idea is to spar with everyone and watch everyone. You will pick up little things you like which then slowly reveal themselves to you as you watch over and over. You don’t have to watch a pro on TV. I say it’s better to go into the gym and watch the fighters live in person. As a beginner, I learned a lot by looking at BHop fights: basic defense done to almost perfection (Trinidad fight), when and how to rest in a fight (against Trinidad you can see how he relaxes when out of range and then is more solid on his feet when in range expecting to be attacked or when attacking). Anyhow, this is just my personnal experience until now. Peace !